Come along to bandv Academy No. 4—for Inbound Marketers! Digital marketing agency bandv is hosting its fourth ‘bandv Academy’ at the Hilton Ageas Bowl Hotel in West End, Thursday, 15 November, 9am—1pm. Aimed at inbound marketers and building on the success of its predecessors, this workshop focuses on harnessing the power of Google Ads (formerly AdWords)—how to manage a campaign, attract more customers, reach the right people at the right time and target specific markets. 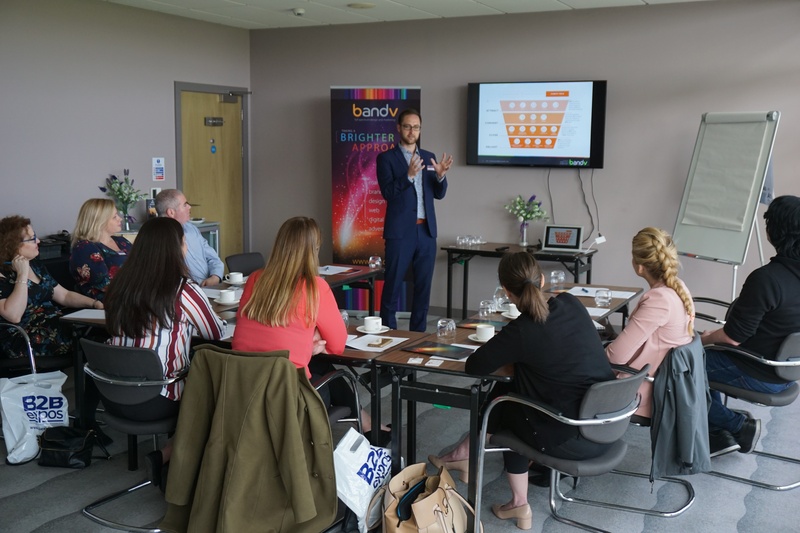 bandv Academies give invaluable insight into the power of inbound marketing and sales, with each Academy focusing on key areas such as engaging customers/clients with your product, service or message, using content, social media, SEO and branding. These full-on gigs have proved a hit with the regional marketing community, with positive feedback such as: “extremely useful”, “informative content”, “good delivery" and “an excellent presentation”. For further information/tickets, please call 023 8043 3348, or email bandv’s Business Development Manager, Sam Hemphill: sam@b-v.co.uk.